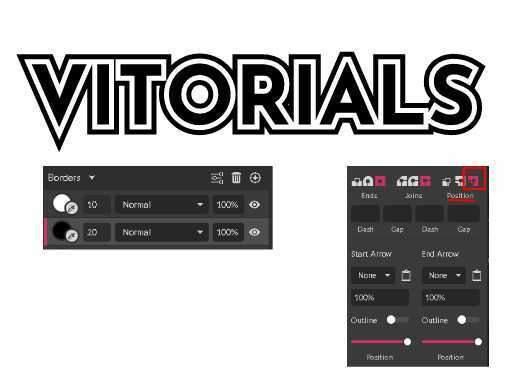 In today’s tutorial you will learn how to create editable text effect in Gravit Designer. 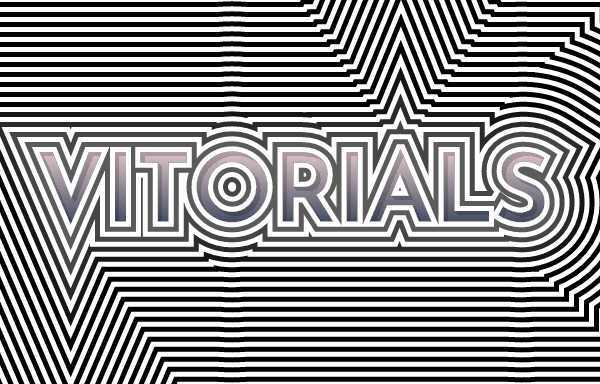 I will show basic text manipulations, how to add fill and stroke to your text, how to work with the Border Panel and how to apply the Long Shadow Effect to create nice text cutout. Assume you’ve already had your own copy of this amazing free editor, so let’s start a new 1024×768 document. To ease your life, learn the shortcut Alt/Opt+N, that brings up the New Document Menu. Grab a Text Tool and type your word. 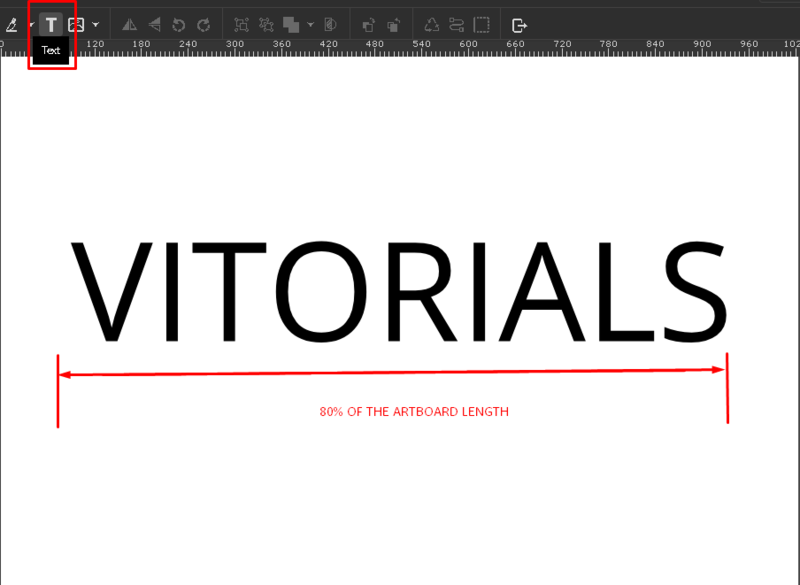 I’m working with the word “VITORIALS” in all capitals. Head over to Appearance Panel and select Josefin Sans to render your text in this nice sans-serify typeface from the Google Font Library. Set the weight to bold and font size between 170-180pt. 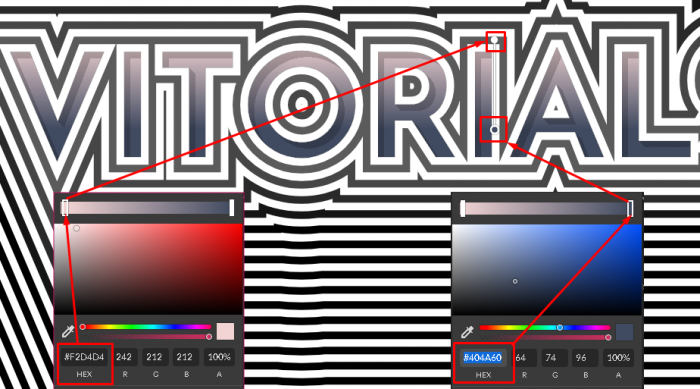 Small Note: If you are something like me and prefer to drag the red transformation point on the bottom-left in order to make the text bigger, try to approximate your text size to 80% of the canvas length (see the image on top). Head over to the Border Panel (oh, sure, your text is selected, right?). Click the Plus Icon on the right to start with the first border and finish, well, in my case it was 34-th. 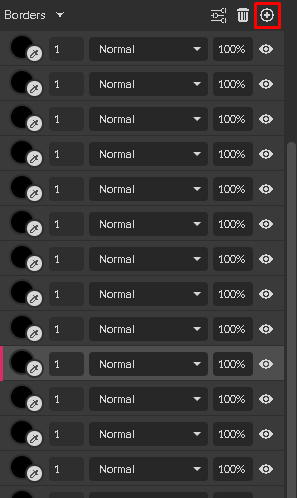 I clicked Plus Icon exactly thirty four times to create thirty four default black borders. You might need more than that, let’s say 40, to feel yourself more secure. We have forty default borders and we need to start with the border on the very top. Click to select it and set the weight to 10px, the color – to white. Head over to Advanced Stroke Setting, which is on the left from Trash Can. In the opened menu set the position to outside. Setting up the second border is a little bit easier, because you don’t need to change color. Set the border weight to 20px and stroke position to outside as shown on the picture below. Adjust next borders in the similar vein, adding 10px to the Border Weight with every next border in the stack. 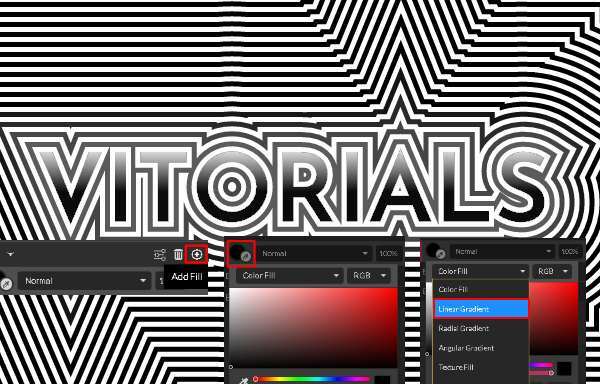 Black and white color should alternate each other to create a geometric zebra pattern. Small Note: set the position of all the borders to outside. We are done with the stripes. Next step is to create a cutout look to the text. 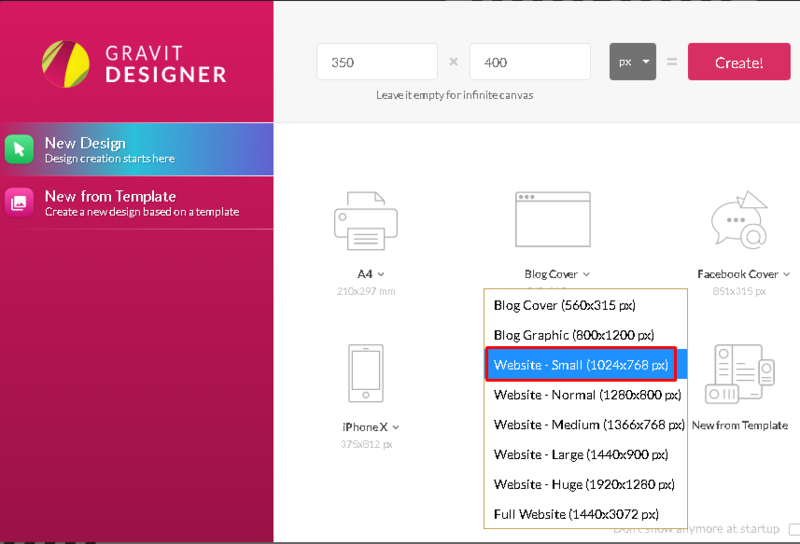 First, add the Fill to the text by clicking the Plus Icon within the Fills panel. 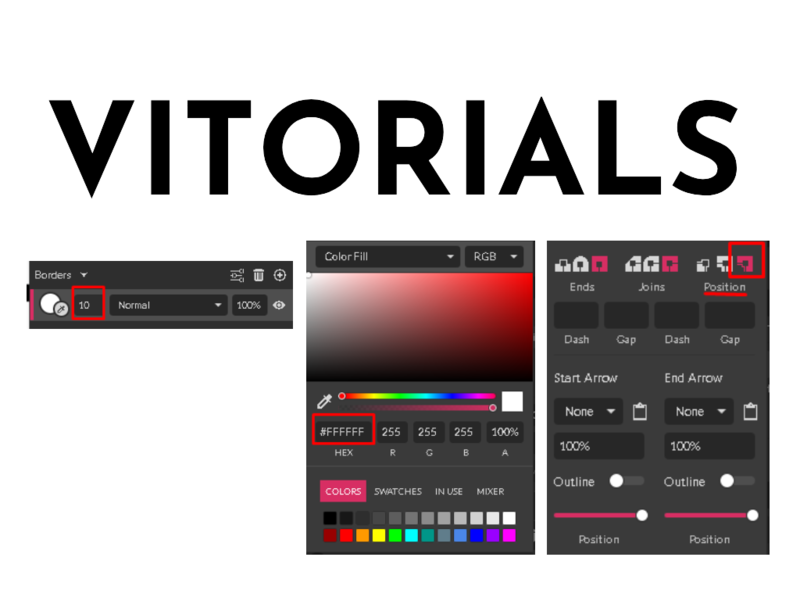 Bring up the Fill Color dialog box and select the Linear Gradient from the drop-down menu. Drag the left color spot to the top of the text. Place the right one in the middle. Head over to the Effects Panel/More/Shadow and pick up the Long Shadow Effect. In the opened window set Fade to none and Length to 13px. Thanks for reaching that far. We are done. Do not forget to share it tutorial with your friends and follow my YouTube channel.